Active Mold Control LLC has been serving Portland-area customers since 2006, providing high quality, reliable remediation, mold and mildew inspections and tests, as well as abatement services. While we work primarily with area realtors, we’re glad to provide our services to homeowners and business owners as well. Active Mold Control LLC is proud to be a business that is family-owned and built on trust and dedication. We focus on these values to provide our customers with a wide range of high quality and reasonably priced mold control solutions. In addition to that, we want to educate people about mold and how to fight it. 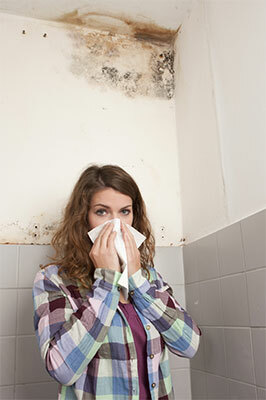 We firmly believe that—with the right information and the proper course of action—mold problems can be solved quickly. We offer a comprehensive range of mold and mildew remediation, inspection, and prevention services. We’re a family-owned company, serving Portland, OR since 2006. Our experts have over 30 years of experience. We’re fully licensed, bonded and insured for your protection and peace of mind. Worried about a mold problem in your client’s house? Get in touch with Active Mold Control LLC to eliminate any concerns. "I left a message on AMC website and a few days later Spencer called me by telephone. I described the mold that had appeared in a closet on a..."
"This team was great to work with - they are clean, nice, and respectful and they fixed the problem!" December 12, 2016 Delma E.
"The team was on time, did the work for the quoted price, and took care of all of our issues quickly. I was very pleased with the customer se..."
"AMC came to do an estimate and they also did mold testing. They were extremely professional and I would use them for repairs. The new owners..."
"Great, trustworthy company that we have been using at our apartments for years. They are knowledgeable and run all the tests necessary to kn..."